Making properties look their best, year round! 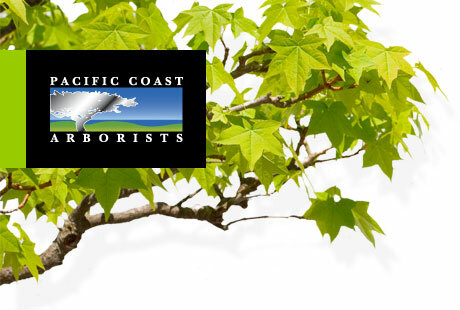 Pacific Coast Arborists & Consultants delivers a complete range of commercial services that enhance the health, beauty, and safety of trees on virtually any property, including: business and industrial parks, housing developments, resorts, retail centers, and golf courses. As experienced, ISA Certified arborists, we have the specialized knowledge, experience, and technology to provide all the care that trees need for a healthy future. We also take pride in our reputation for outstanding customer service. Expertise - Our knowledge can save you money. We identify and prevent potential problems before they become life threatening to your trees or a safety hazard to tenants, residents, or guests. Leading-Edge Technology - From GPS satellite equipment to the newest diagnostic techniques, we apply the latest advances in arboriculture to deliver the best tree care available. A Passion for Ethical Tree Care - We are in this business because we love trees! This drives us to always pursue the best interest of the trees. We only prescribe what is needed and never take shortcuts that might put them at risk. Flexible Services for all Needs and Budgets - While we perform any service to address your immediate concerns, we also recommend long-term tree management plans. We work with you to prioritize a set of services that maximize the health of your trees while minimizing potential risks and costs. Quality Assurance - Held to exacting standards through stringent process management, our trained staff achieve outstanding, timely results with minimal disruption to your property’s daily activities. We have earned a stellar reputation for exceptional follow-through, communication, and professionalism.